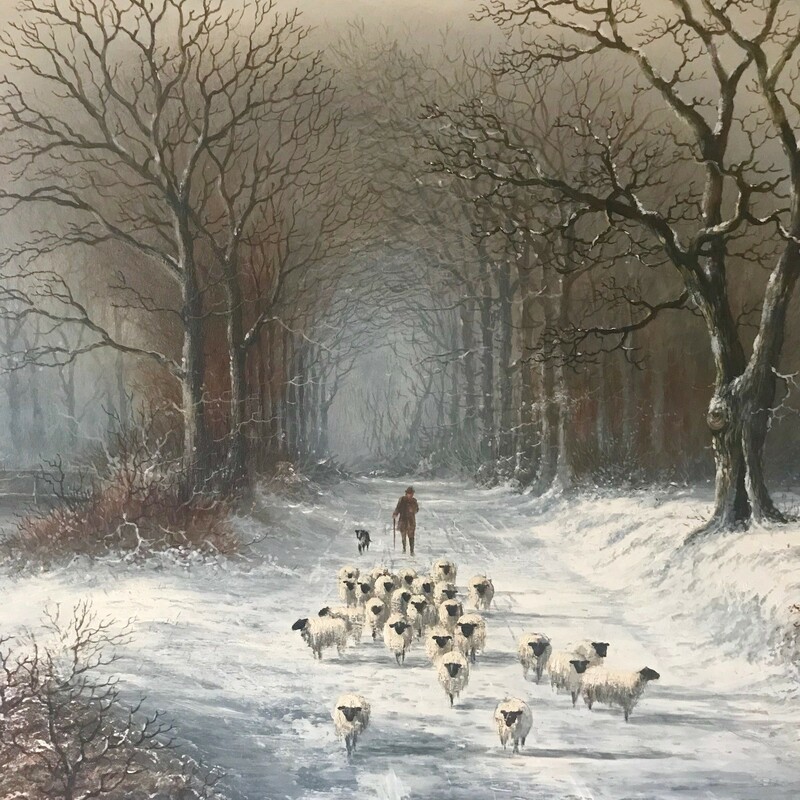 A shepherd drives his flock home through a landscape covered by the snows of winter, this oil on panel is an excellent example of the work of the talented Michael Matthews. 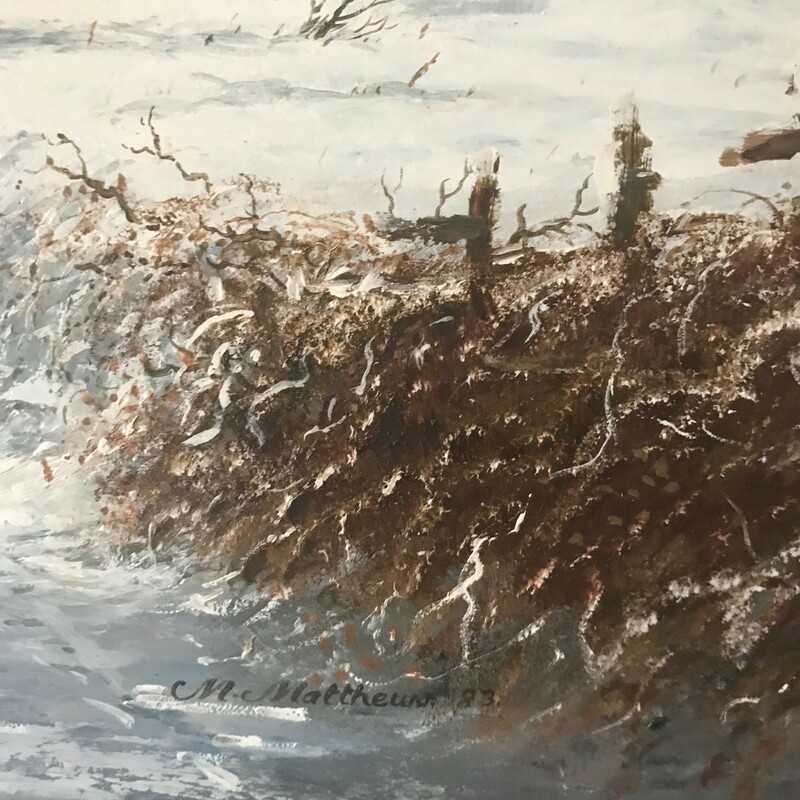 Matthews was born in Stratford on Avon and moved to America in the early 1980's, his work was widely exhibited across the United States and he eventually opened his own gallery in Arizona. 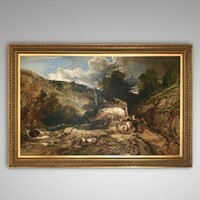 His work is held in many private collections in America and Europe. 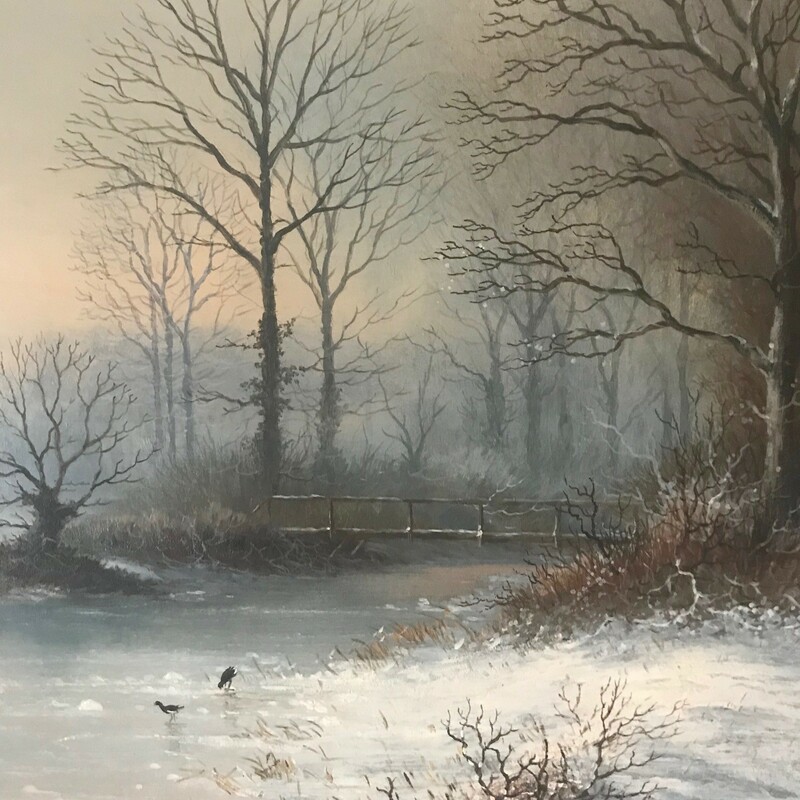 This winter landscape, inspired by his native Warwickshire, and painted in the early 1980's as a private commission, has been in the same private collection ever since. 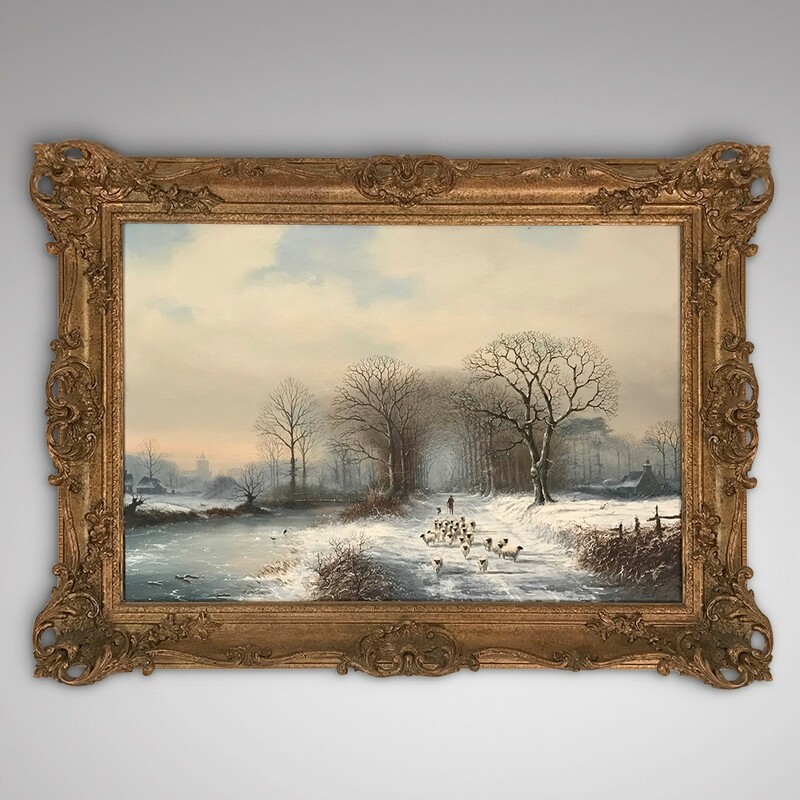 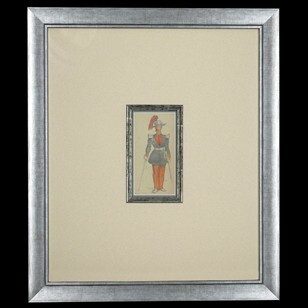 A wonderful painting to hang in any setting.